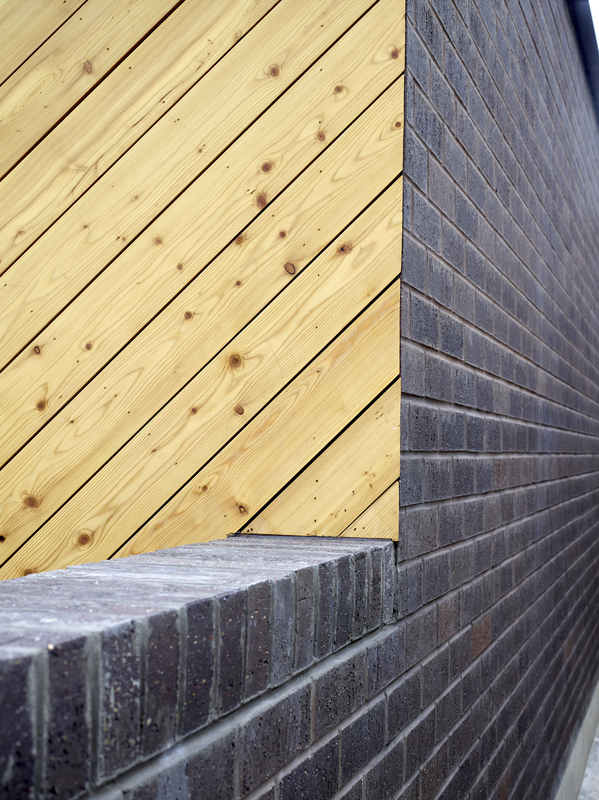 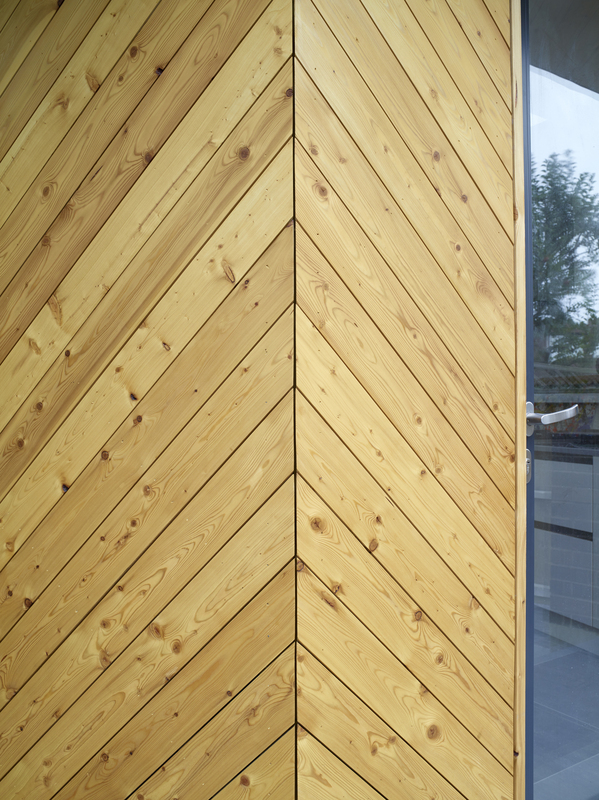 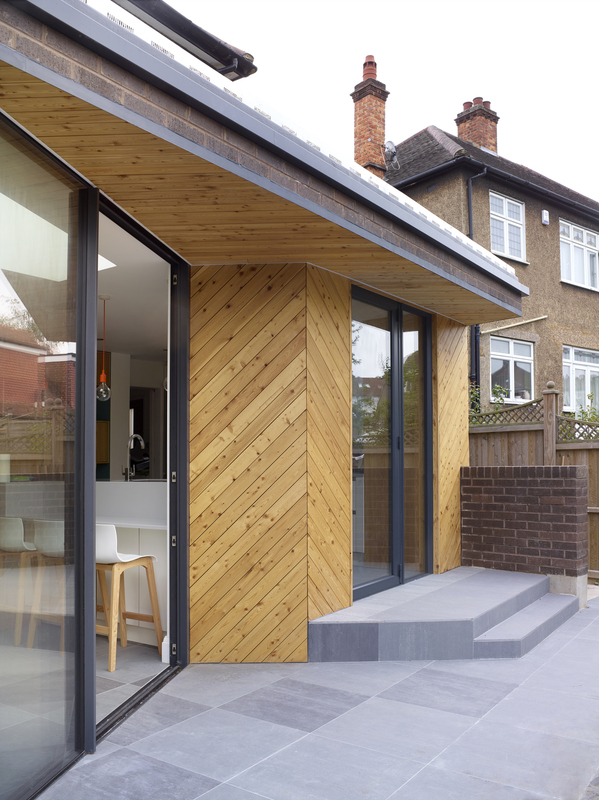 This is a ground floor wrap-around timber clad extension to a 1930’s house in south London. 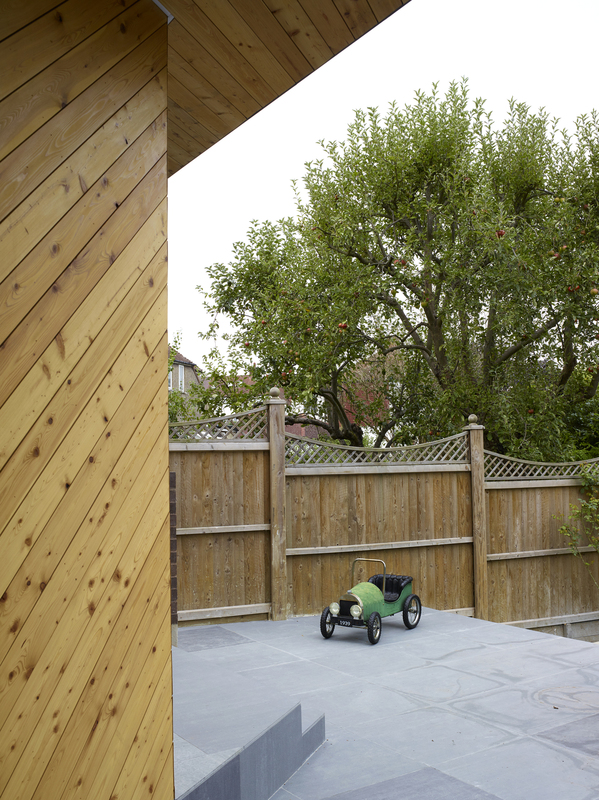 The project brief was to open up the ground floor to become a sociable and playful environment to reflect the character of the family, maximising the view to the garden. 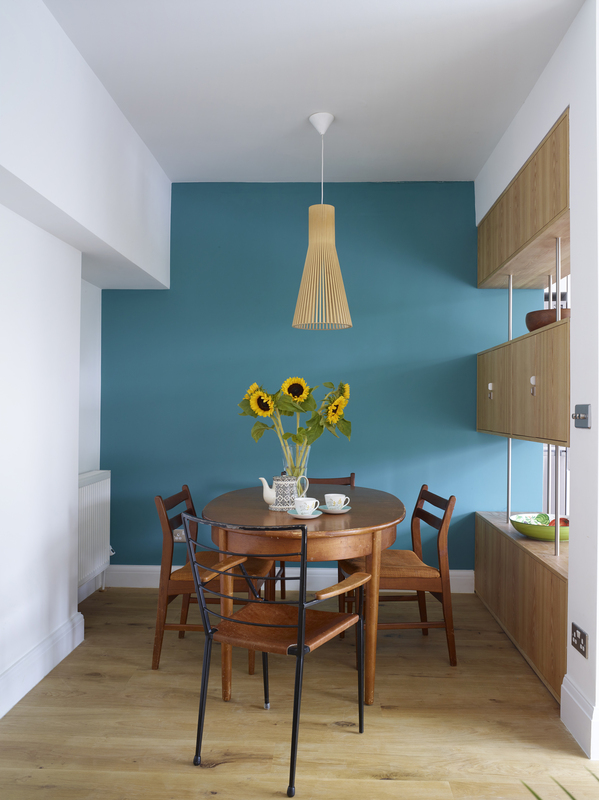 The original house, a three-bed family home in West Norwood, has typical pebble dash facades with period features. 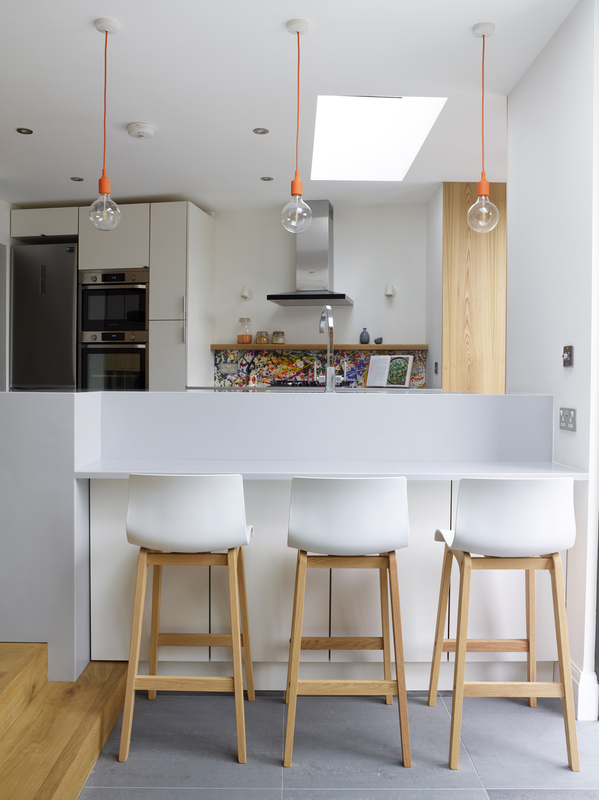 A Small Studio’s design reflects the changing needs of a growing family. 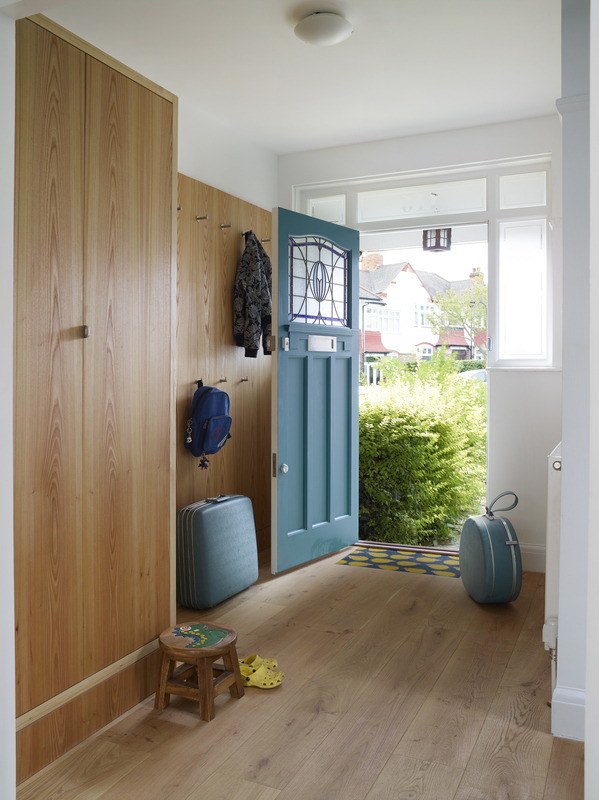 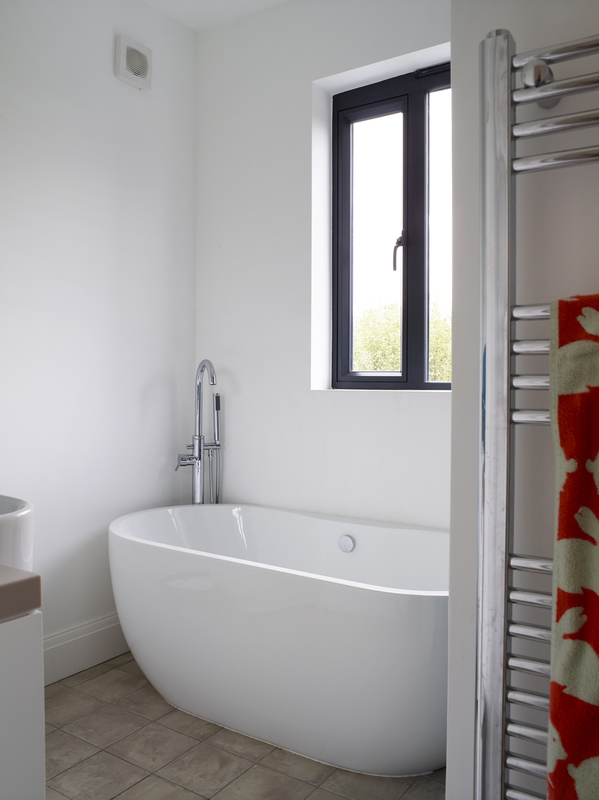 The arrival has been transformed into a spectacular space with timber cloakroom storage. 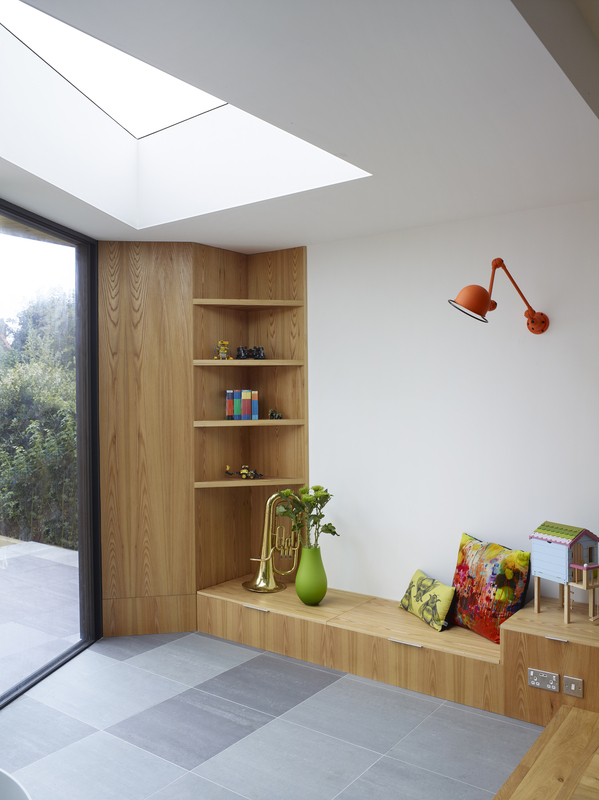 The new extension accommodates a large kitchen, utility and playroom, whilst the dining room has been enlarged with solid elm furniture and kitchen mimic the design of the skylight above, flooding the space with light. 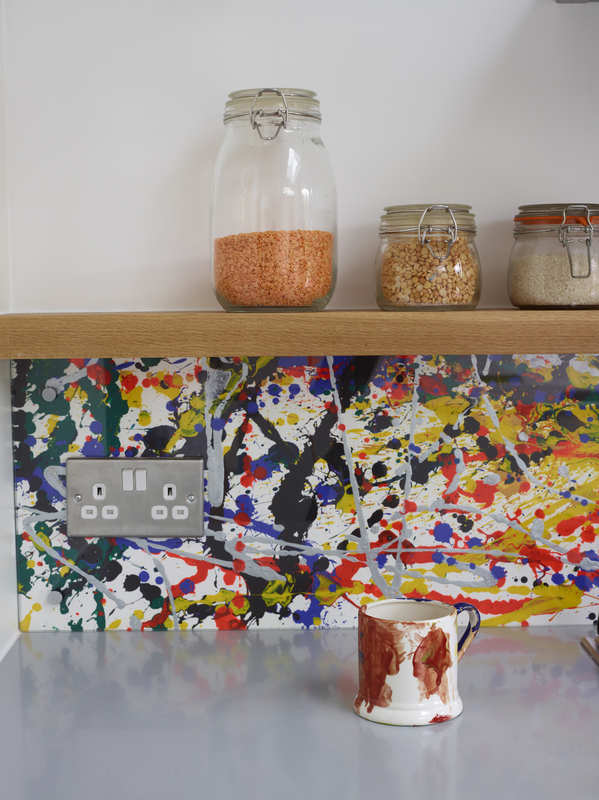 The simple kitchen design allows a focus on its quirky features, particularly the children’s artwork used to form the kitchen splash back. 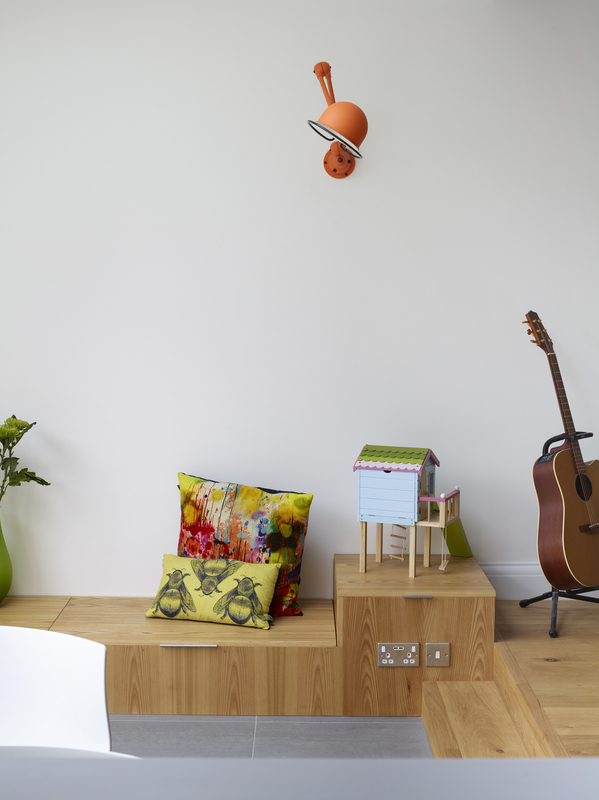 This home renovation project had materialised a sociable, fun and playful space for a young family.